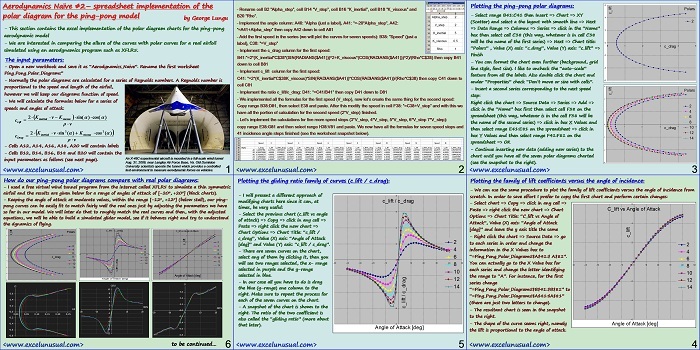 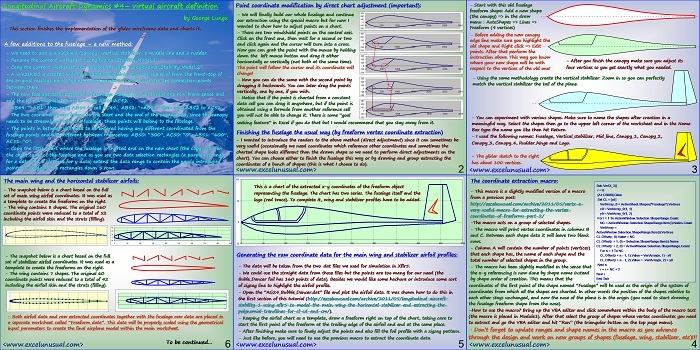 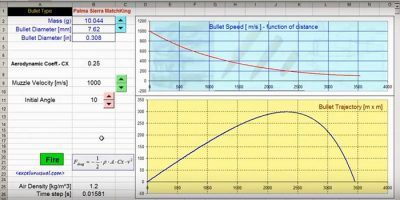 This is a tutorial about using a free aerodynamic modeling package (Xflr5) to simulate two airfoils in 2D (the main wing and the horizontal stabilizer) for ten different Reynolds numbers, then using Excel to extract the approximate polynomial equations of those curves (cl, cd and cm) and based on them, simulate a 2D aircraft as an animated model. 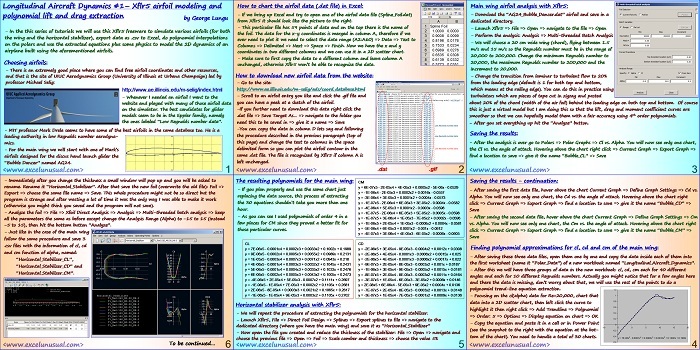 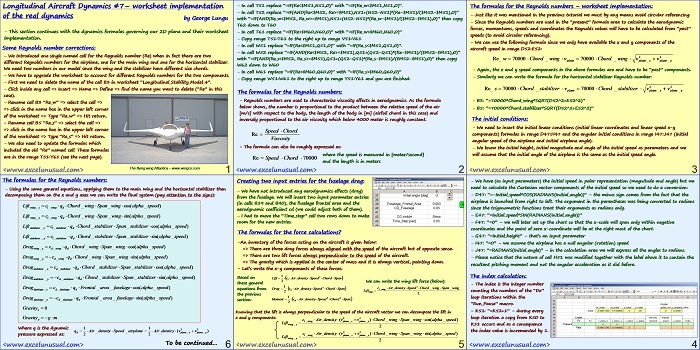 This section deals with the aero modeling and the 4th and 5th order polynomial extraction…. 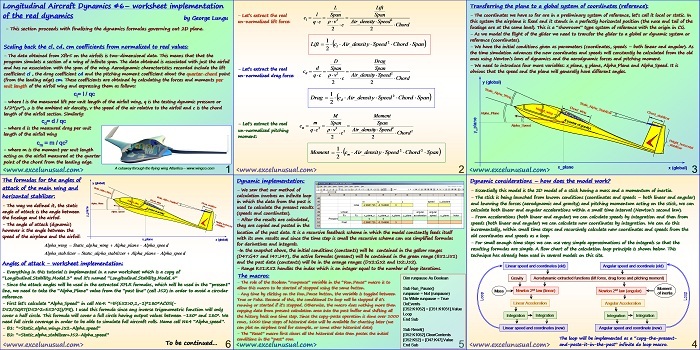 The previous section implemented and charted the ping-pong polar diagrams in a spreadsheet and showed a reasonble similarity, for moderate angles of attack, between these diagrams and the ones modeled using Xflr5, a virtual wind tunner. 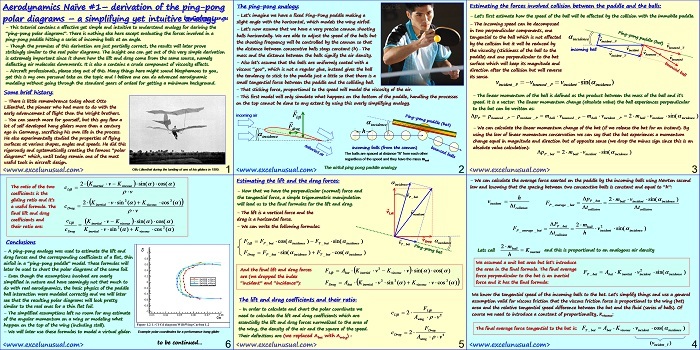 This section introduce the concept Reynolds number and it also contains a very brief introduction to Xflr5, the free virtual wind tunnel software.